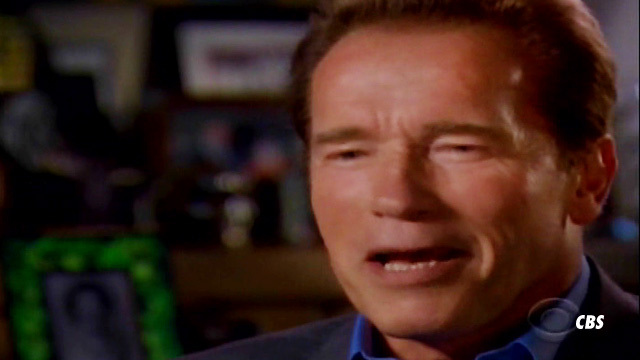 Arnold Schwarzenegger was lying through his gap teeth when he claimed Maria Shriver KNEW he was banging other women during their marriage ... this according to multiple sources connected to Maria. Arnold fessed up to cheating on Maria multiple times during his interview with "60 Minutes" last night ... saying Maria knew about ALL of his trysts. But one source close to Maria tells us ... "BULLSH*T" -- saying Maria never would have defended him against all of the groping claims several years ago had she known Arnold was stepping out. The source also says Maria would have ended the marriage had Arnold told her. Another source tells TMZ ... Maria definitely suspected Arnold was screwing around behind her back ... but it was never discussed until she confronted him about his love child with the maid. But we're told Maria was really in love with Arnold during their marriage ... and was truly crushed when she learned of his betrayal. Maria Shriver to 60 Minutes -- You Tick Tick Tick Me Off!! !